It's here, we finally have it. We now have a hippo mount everyone. My life is now complete, I will do whatever blizzard wants for this mount. This Riverbeast is one of 7 new rarespawn-dropped mounts. Warlords of Draenor adds 3 variations of Riverbeasts, with this being a blue version. Annnnnnd now that damn Hippopotamus song will forever be stuck in my head whenever I ride this mount. Just got this beautiful with a wonderful raid group. We were all spread out at each spawn point for the 6 rare mounts. Someone called out where he was and we all came rushing towards it. Thankfully everyone was patient and kind and we were all able to obtain it. 4) A beautiful mount, a must have for people who liked the direhorn ones. Here is the picture of the location found. Just killed Silthide with a group I was camping with. :) She spawned in the water near Terrokar Refuge. I downed Silthide on Draenor-EU at 5.05AM Server time on 11/18. 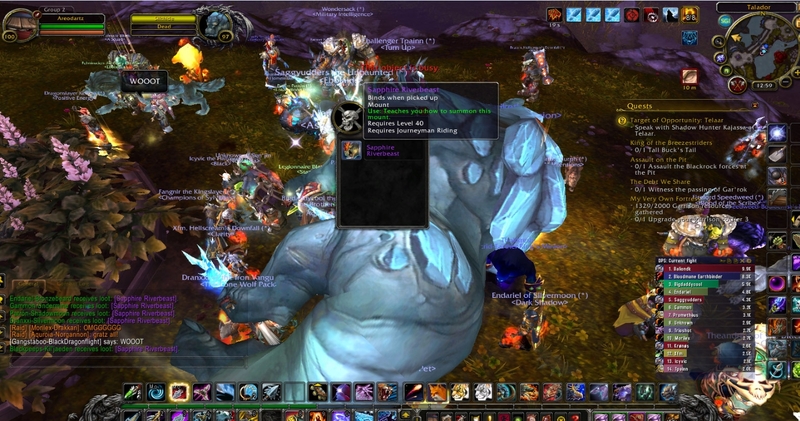 We downed him on a so far unknown spot just above the island in the middle of talador. I plan on adding this to all of the rare spawns that drop mounts in WoD as it is quite important when it comes to getting the mount without some extra headache or at least you can go into it knowing what to expect. Some things may be specific to my realm(Arthas) but my guess is they're applicable to most realms. 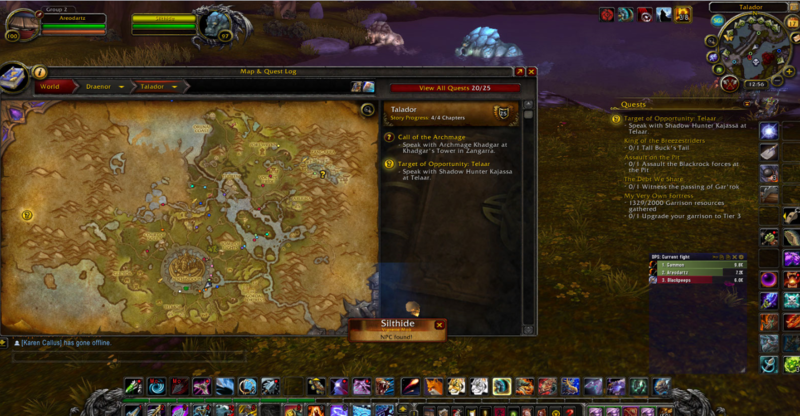 So I'm not sure if anyone has noticed but there are separate instances/phases of zones now, I'm not sure if this is specific to high population realms but my realm seems to have two instances(maybe more, at least two) for Nagrand. I feel like this might be more of a high population occurrence, to aid with all the lag/server crashing that the expansion had brought, but that can't be confirmed. The instancing itself reminds me a lot of the cross-realm party feature yet obviously this is happening within the realm. These two instances seemingly are two completely different/unrelated phases of Nagrand. Simply put on one phase of Nagrand, for example, Luk'Hok could be alive but on the other he may still be on respawn, so if you're not lucky enough to be in the phase Luk'Hok is on, you will miss out on the mount unless invited by someone on the phase with Luk'Hok; he will just be invisible to you otherwise along with all of those people who are getting the kill. Something else I've noticed is that these phases don't seem to share respawn timers. The approximate timer for Nakk from a solid amount of sources is about 19-30 hrs and I'm starting to think Luk'Hok is about the same. Yesterday Luk'Hok spawned at 6:25am server time(Calling this Phase 1 Luk'Hok of Nagrand), and then only 6 hours later at approximately 1pm server time(Calling this Phase 2 Luk'Hok of Nagrand). His next spawn was not until about 30 minutes ago at 5:30 am server time which fits perfectly into the range of the phase 1 time about 23 hours later. I know people who are still camping the rares and will update this post if Luk'Hok proceeds to spawn in about the next 5-6 hours as that would fit perfectly into the Phase 2 respawn timer. This same occurrence happened with Nakk the Thunderer and seems to reveal the same exact thing, even more apparent than Luk'Hok. After maintenance on 11/21/14 Nakk spawned about 22 and a half hours after realms went back up at 6:35am(10 minutes after Phase 1 Luk'Hok mentioned above, I might add, which suggests that maintenance resets their timers). I got the kill and went to bed, I knew a few guildies that were questing in Nagrand that morning and told me later that night Nakk spawned at approximately 8am server time, just an hour and a half after my kill. This almost completely justifies the multiple instances having different spawns of rares as there's been no report on Nakk having anywhere close to that short of a respawn time anywhere. These are the first four spawns and times after maintenance on the above date in Nagrand:Luk'Hok spawns at 6:25am(19 hours and 25 minutes after maintenance) Nakk spawns at 6:35am(19 hours and 35 minutes after maintenance), Nakk spawns at ~8am(24 hours after maintenance), Luk'Hok spawns at 1pm(29 hours after maintenance). 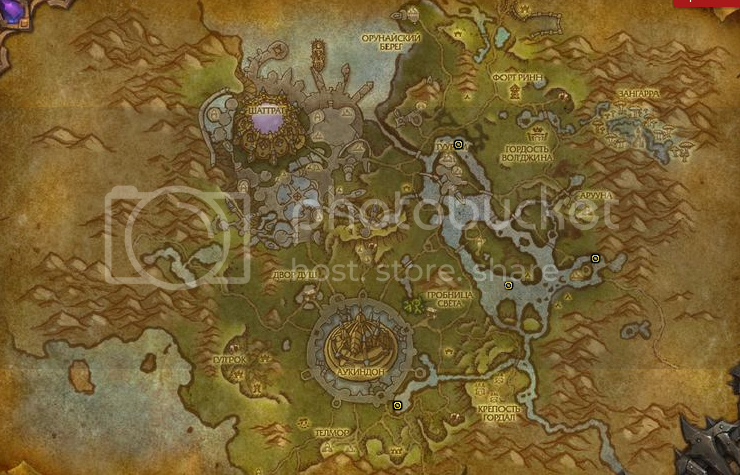 Since Luk'Hok last spawning at 1pm server time, yesterday, there had been no spawns til 5:30am this morning(11/23/14). Four spawns between a 6 hour time frame then no spawns of either rare until 17 hours later jumps out at me as a little odd. I've since submitted a ticket to see if this is the case and to be honest I hope it gets fixed. People who camp all night for these rares should not be affected by these phases. The instancing of these special rares needs to be universal to all phases of said zone. I'm thankful Blizzard added the instances as it's vastly improved server stability but I think this was just kind of an unexpected side effect they didn't foresee. Rumors about the instancing is that they're separated by whether or not you're in a group/raid or if you're solo, yet I have seen this disproved and can confirm that it's not true yet out of about 6 kills, this rumor happened to be the truth 5 of the 6 times this happened to be true and the only exception was that people that were solo had just left their group, but not before the pull was initiated, but take that as you will, just a rumor. Here is demo video of his kill in one of the locations: http://www.youtube.com/watch?v=nvyx_DJzYIk As you can see ppl can w8 till everyone get there. Rl summoned 20+ ppl before we even pulled. Ok, so Zul'jin Server US EST server, at 18:55pm (7:55pm), Silthide spawned at location just below Auchindoun in the pool there. Coord's are 54, 82. This spawn timer was almost a full 29 hrs! short by 5 min. I felt the need to post for Zul'jin community due to I don't see many posts on rares from my server. Felt it a duty to try and give anyone else from Zul'jin the opportunity to try for this mount with a kill time, spawn duration, etc. It was the longest spawn I've done, aside from way back in BC when I as a hunter, waited for 2 weeks for Nur'amok. But I digress. I'm on my BF's account telling you this tale of woe and victory! My 4 man group, started our camp at 3pm the day prior, only to get up at 6:30 am 12/21/2014, to no Silthide. Waited all day, nodding off here and there, circling the 5 locations all day...it was a long journey, but we ended up with Sapphire Riverbeast (mount name), when all was said and done. Gratz to Vellicate, Sanlea, Nampy and myself (Velalen). We maybe should of called out in General Chat, but we felt that since on our server no one seemed interested when we asked if anyone had seen him, no one would respond. Literally....save for one Mage, Jakeblakborn....he responded in kind and stated he'd kill Silthide at 11am 12/20/2014. So we had two different times to watch for Silthide....his 29 hr came and went, so we stuck with when I and Vellicate started our watch...which was the 3pm 12/20/2014 server., and as I mentioned...almost a full 29 hrs later, boom! he spawned at above location. I hope this helps someone else get this mount...I know it's a Hippo, but he's blue and I think kinda pretty. And blue is my favorite color :) I went ahead and tamed a Riverbeast of the same color a few days prior to this kill. So now I have a mount and pet that match, I LOVE it! Happy Hunting all and Good Luck.....patence will pay off, hang in there! Why is there no Raving Ravenous Riverbeast mini game? When i camped for nakk the thundrer Silithide spawned inbetween, ( i had ppl all over wod, and i was the leader, so i made sure only worthy ppl was in my raid group) Good players! Such players is a true blessing to wow community! I just killed it on my 98 priest in a group and i did not get a mount! Everyone else did.. whats up with that? Picked this fine mount today about 6pm server time by lumber mill. Had found and was waiting or other local area players to meet up and enjoy the results when Horde player came by need I say more. But at least I got it also. "D’une couleur similaire au bleu des rivières les moins profondes de Draenor, cet animal est presque invisible pour les prédateurs aquatiques."